Walk to Town and School 2 bd 2 ba w/ Attached Studio Apt. This vintage Idyllwild property is situated on a flat maintained road in town. 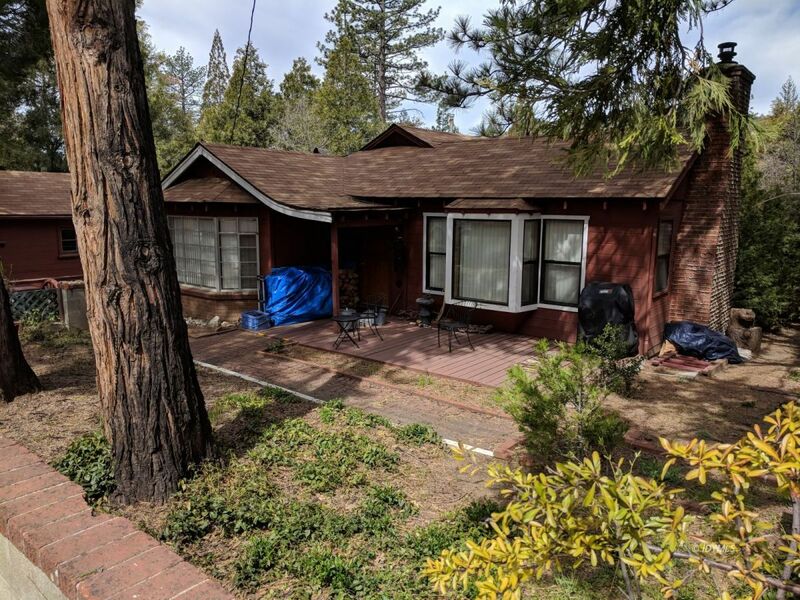 A bright and sunny area of Idyllwild, walking distance to town and school. A 2 bedroom 1.5 bath main house is charming in its layout and cozy. The attached guest house/studio is on county records. A huge, near half acre lot with big fenced back yard. One car detached garage with plenty of parking behind. Both units are currently rented and occupied. Please do not disturb. Please call listing agent for information and showing appointment.